On Friday, Feb. 5th the Fauquier Wrestling team won the 2016 Conference 22 Championship for the third straight time and the 12th Conf./ Dist title. The Falcons went 8 for 8 in the Finals - that's right EIGHT Conference Champs as some could argue that this year’s Conference 22 could be the toughest Conference in the state as Fauquier Nation was at its BEST. The #16 ranked Freedom HS, the best team in Loudoun County and Fauquier, were dueling head to head in the finals which made for a fabulous Championship finals. In past years winning a Conf./ Dist title may NOT have been as difficult for the Falcons but even having eight in the Conference finals in 2016 Fauquier found themselves in second place heading into the last round. After the opening round of wrestling Freedom HS jumped out to a 14pt lead and people started to wonder if Fauquier could muscle enough to battle back to win the tournament. One only had to think back to 2013 when Fauquier came in second place in the District tournament by a half point. Although Fauquier beat Freedom HS in a dual match earlier in the season the 2016 Conference Championship had Freedom on top of the leader board early. Through the 2nd round of wrestling Freedom HS pushed eight wrestlers into the Conference Finals equaling Fauquier and the Freedom Eagles still held onto the lead by 13pts heading into the Consolations Finals. The Consolations Finals brought three key victories for team Fauquier. 120 lbs Joe DelGallo, 152 lbs Franco Camarca, and 182 lbs Rob Patchett who all won and took third place. Earning pins were Franco Camarca and Rob Patchett in their Consolation Finals matches which closed the gap and brought the team score to 183 pts - Freedom and Fauquier stood at 181 pts, a 2 pts difference heading into the Championship Finals. The 2016 Conference 22 Championship really stands out that has the potential to be among the “All Time Greatest Moments and Achievements” list. More to come on why but you kind of have to live-it and feel the emotion to understand it. These “Greatest Moments” are quite obvious events that unfold and grab hold of Fauquier Nation in a disbelieve manner. The desire for team Fauquier to overcome the struggles to win each of the eight Final Championship bouts had the Falcons bringing home the first place trophy with a total of 11 placers. As Fauquier had four head-to-head match-ups with Freedom, the Eagles also who had four other matches with foe conference teams as most people felt they were favored in those bouts. The feeling on the corner of the mat from the coaches to the spectators was that the four bouts that Fauquier had with Freedom HS would be the deciding factor with who would be carrying the first place trophy home at nights end. Below is a summary of the pivotal final bouts for team Fauquier which made for an exciting Championship Finals. 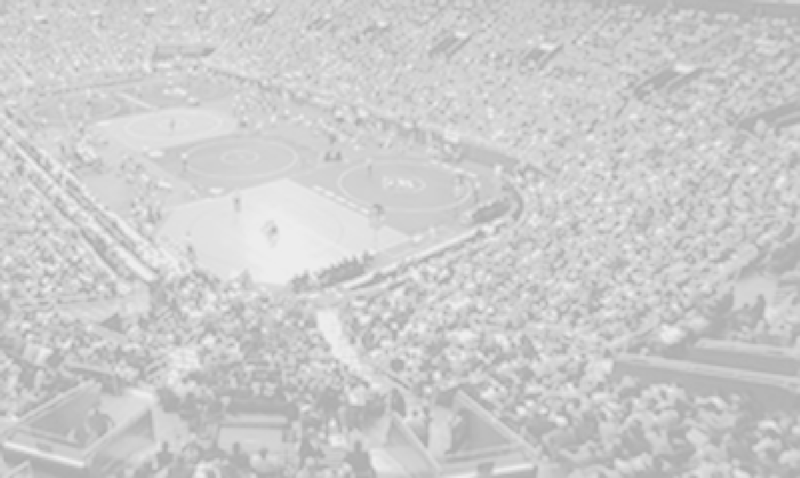 113 - Kyle Budd (Fauquier) came out strong and recorded a 1st period fall over Austin Kreb from John Champe HS. Not a pivotal match for team Fauquier but clearly Budd was a better wrestler than Kreb as he has been one of the most solid Fauquier wrestlers on the team this season. Budd took second in the Conference last year and becomes a Conference Champ as a sophomore. This win gave Fauquier HS +6 pts to the team score and now Freedom with 188.5pts leading by 1.5pts over Fauquier at 187pts. 126 - Tyler Foster (Fauquier) won by tech fall over Nicky Scolarici from Freedom HS. This was the first of the four head-to-head match ups that team Fauquier and Freedom would have in the Championship Finals. Foster rose to the occasion and came out with an aggress style. Expecting the match to be closer Foster actually had Scolarice on his back a few times throughout the bout but could not record the fall. This gave Fauquier HS +5.5 pts and put Fauquier and Freedom tied with 192.5pts. 132 - Camden Franklin (Fauquier) won by fall over Hunter Hall from Freedom HS. This was the second head-to-head match that Falcons and Eagles would have and for sure the most exciting finals match for Fauquier Nation and the night. An extremely close match heading into the third period as Franklin was losing 3-0. Franklin opted to choose the down positon to start the last period as he was able to earn a quick reversal within seconds and put Hall on his back close to the out of bounds line as he squeezed and held on for the pin and win. A bout that very well could had gone in favor of Freedom - Hall, as Franklin over aggressive style earned a fall and is one reason why this event could fall into the “All Time Greatest Moments” list. Not in the top 15 or 20 but should make the list. A turning point in the Championship Finals that had Fauquier Nation jumping up off the gym floor to bounding in the stands with hands in air as a reactions of amazement and joy. Pictures are worth a thousand words but you have overcome the odds and Franklin did just that. This gave Fauquier HS +6 pts and the lead for the first time of the Championship as the team score after this bout had team Fauquier with an 198.5pts leading by 6pts over Freedom 192.5pts. 138 - Kyle Roche (Fauquier) won a 10-6 decision over Bobby Wrenn from Freedom HS. The third match up between the two Conference leaders and one could also agree just as intensive of a battle as the prior match that had people on edge. Roche started strong earning the first take down but Wrenn was able to battle back to tie it up 4 to 4 heading into the third period. But Roche simply took it up a level and was able to takedown Wrenn three times in the third period to out finesse Wrenn with solid technical takedowns. With the strength of the Fauquier Falcons lineup forthcoming - these three head-to-head victories at 126 lbs, 132 lbs, and this finals very well sealed the 2016 Championship for the Falcons. Kyle Roche victory gave Fauquier HS +4 pts and had Fauquier with 202.5pts, leading by 10pts over Freedom 192.5pts. 145 - Caleb Strum (Fauquier) won a 3-2 decision over Devyn Kreb from John Champe HS. A match that had Caleb Strum losing a first period takedown had him battling back with an escape and takedown to hold off Kreb for the extremely close win. This would be Strum’s first time as a Conference Champion. This also gave Fauquier HS +4 pts and had Fauquier with 206.5pts leading by 16pts over Freedom 192.5pts. 160 - Garrett Tingen (Fauquier) won by fall over Andrew Andrade from John Champe HS. Tingen had two pins in the tournament and clearly in a league by himself as he currently is the #1 ranked 160 lbs in the state. Tingen also a senior joins a short list of Falcons to win the Conference /District 4 times. A pin by Tingen also closed the door for Freedom HS - even though the Eagles had more wrestlers on deck as Fauquier, they could not catch up. This win also gave Fauquier HS +6 pts and had Fauquier with a 212.5pts, leading by 20pts over Freedom 192.5pts. 170 – Clifford Harrison (Fauquier) won a 12-0 major decision over Garrett Moody Freedom HS. This was the final head-to-head bout with Freedom. Harrison seeded #2 and had lost to Moody during the regular season meet which had Harrison wanting revenge. Harrison came out aggressive earning the first take down and earned back points to go ahead 4-0 early and control the entire match. This gave Fauquier HS +5 pts as the team score after bout with a Fauquier 217.5pts leading by 25pts over Freedom 192.5pts. 220- Thomas Palmer (Fauquier) won by fall over Alan Pena from John Champe HS. Palmer the final Fauquier wrestler of eight to reach the finals and a four year starter like Calem Strum also capture his first Conference title as his efforts on the mat and all year long as shown. Palmer pin gave Fauquier HS +6 pts as the team score after bout with a Fauquier 223.5pts leading by 26pts over Freedom 197.5pts. Over the past 10 years there been many times that Fauquier have pushed a hand full of wrestlers into the Conference and or District Finals but this was the first time the Falcons was able to run the table and have every Finalist become a Champion. This is not the case years ago where Fauquier may have gone 3 for 3 or even the great 2008 Falcon team when Fauquier had 9 District Champs as the District make-up during this time was only three high school teams. The more wrestlers you have in the finals the percentage is always going to be lower that teams can win every final match. This alone is a case why the 2016 Conference Championships should make claim for one of the All Time Greatest Moments and Achievements. But even more to battle and win four of the head-to-head matchups over VA State ranked Freedom HS speaks volumes - a come from behind Championship that will not get overlooked. Q: Having 8 finalist and winning all 8 bouts - did you expect that? Coach Fisher - "I did believe we could have 8 in the finals, and maybe even a couple others, but winning all 8 was a nice surprise." Q: Fauquier earns its 12 Conf. / Dist. title how does that feel? And how tough is Conference 22? Coach Fisher - "It was an exciting night. Freedom certainly has many really good wrestlers and they were prepared. In addition the other teams in the conference each had some guys that had a great tournament. A case could certainly be made that our conference was one of the toughest." Q: Any reflections with three of your senior Thomas Palmer, Caleb Strum, and Rob Patchett all have worked hard in the wrestling room? Coach Fisher - "I was extremely proud of their accomplishments Friday and in the season in general. Palmer only started wrestling as a freshman and he demonstrated what can be accomplished with determination and dedication. Caleb has been in an out of the lineup at the end of the year throughout his high school career. This year he has been one of our best and consistent wrestlers and should be proud of his results. Patchett is just awesome. He is a first year wrestler and has been asked to wrestle one or two weight classes above him all year. He took a lot of lumps through the year, but is one of the toughest kids we have ever had. He scored huge points for us in a close Conference Finals, and he qualified for Regionals. His opponents next weekend better not look past him." Q: Garrett Tingen becomes the 6th Falcon to become a 4X Conference / Dist Champ status. How cool is that? Coach Fisher - "It is well deserved. He is the hardest working kid in everything that we do. It has been a pleasure to be in his corner for 4 years." 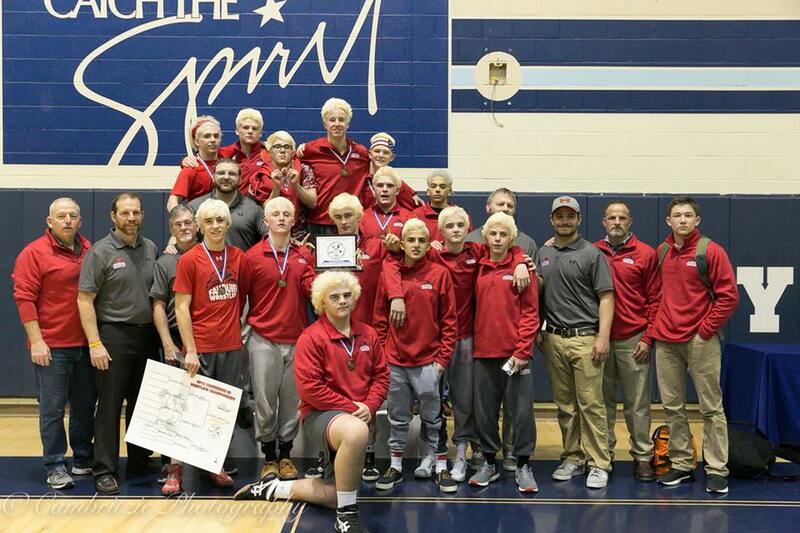 Q: Team Fauquier qualified 11 wrestlers for the Regionals - is this team peaking yet? Coach Fisher - "No. We have been training to peak at States. We still have some things to work out with a handful of our guys. They have yet to hit their full stride." As the post season has begun and with the 4A States just two weeks away we are going to have to wait to see if Team Fauquier can repeat at State Champs. The 4A Region is scheduled for next week as Fauquier will now prepare for this tournament. The top 4 wresters in each weight class will then move onto the State meet. Fauquier wins the 2016 Conference 22 Championships with 8 Conf. Champions. Note: Fauquier went 8 -0 with 4 pins. Note: Fauquier went 3-1 with 2 pins . Note: Fauquier went 1-0 with one pin and 3 byes. Note: Fauquier went 12 - 4 with 5 pins.